Hot water is something that is often taken for granted until it’s not available — especially when you’re in the middle of a long, hot shower. 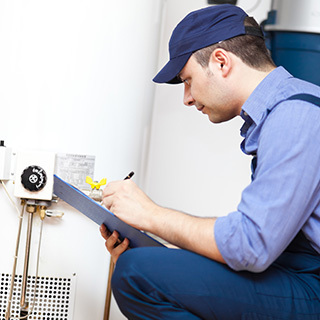 So if your water heater isn’t working, you don’t want to wait long for service. At Ace Hi Plumbing, we provide water heater repair to Fort Collins, Loveland, Estes Park, and the surrounding areas. If you’re having an issue with your water heater, get in touch with us right away. One of our experienced and professional technicians will be there as quickly as possible. Generally, a water heater doesn’t have many parts to it, but to ensure that it’s repaired correctly and efficiently, it’s best to call an expert. Not Enough Hot Water: One of the more common problems, this is usually caused by the thermostat on the tank not being turned up high enough. If you turn up the temperature, be mindful that turning it up too high could be dangerous. No Hot Water: After waiting a minute with the hot water running and still it’s not getting hot, there could be a problem with either the pilot light, a faulty thermocouple, faulty pilot control valve, or an issue with the heating element. Smelly Water: If you notice a rotten-egg type smell, it could be that there is bacteria growing in the tank. This can be fixed by draining the tank and filling it with water and hydrogen peroxide. A Noisy Tank: If you’re hearing funny noises from your tank, this is most commonly either sediment at the bottom of the tank that the heating element is burning, or the element is starting to go out. A Leaky Tank: When water heaters begin to leak, it generally means it’s time to have a new one installed. Call for water heater repair to avoid gallons of water draining into your basement or utility room. If you are experiencing issues with your water heater, get in touch with the experts at Ace Hi Plumbing.